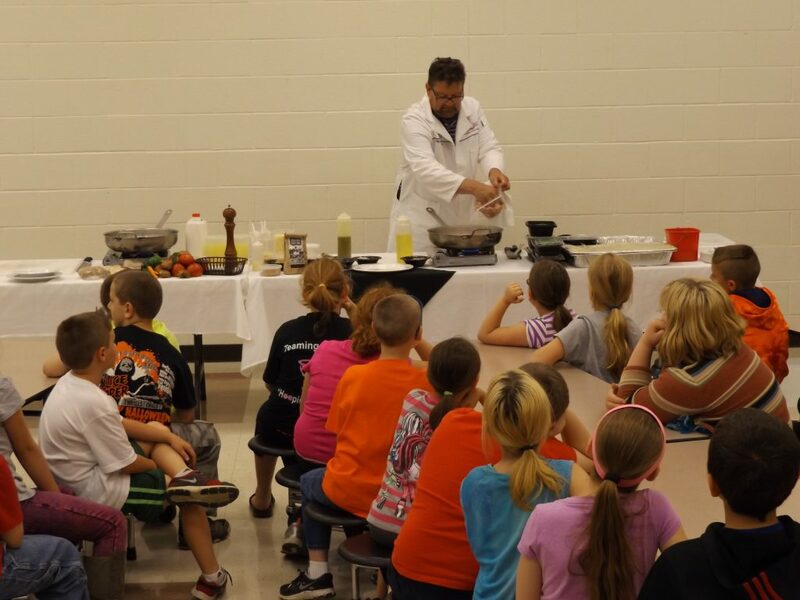 Chef Alfonso Contrisciani demonstrates to the third grade class at Junction City Elementary School how to make a delicious and healthy meal using fresh vegetables. Demonstrations were held at three participating schools in Perry County as part of the Veggie U program in 2015. The Perry County Health Department focuses on preventing childhood obesity by promoting good nutrition and physical activity in elementary age children. The program works with area schools to implement the Veggie U program teaching kids to make healthy choices early. Learn more about Veggie U! Obesity and overweight is not only a problem across the US, but also here in Perry County. One-third of our residents are considered overweight and 1/3 are considered obese…this means that only 1/3 of Perry County residents are the ideal weight. The Obesity Task Force is made up of community members, businesses and agencies who are all concerned about getting and keeping Perry County residents at a healthy weight. We work with the above mentioned projects and are open to new projects as well. If you would like to be a part of this important work contact us today! Portions of this work are funded by a grant awarded by the Ohio Department of Health, Bureau of Child and Family Health Services, Child and Family Health Services Program, and as a sub-award of a grant issued by Health Resources and Services Administration (HRSA) under the Maternal and Child Health Block Grant, grant award number B04MC26688, and CFDA number 93.994 and Am. Sub. H.B.59.